Four teenagers have been arrested for the brutal beating and carjacking of a Milwaukee father at Washington Park last month. 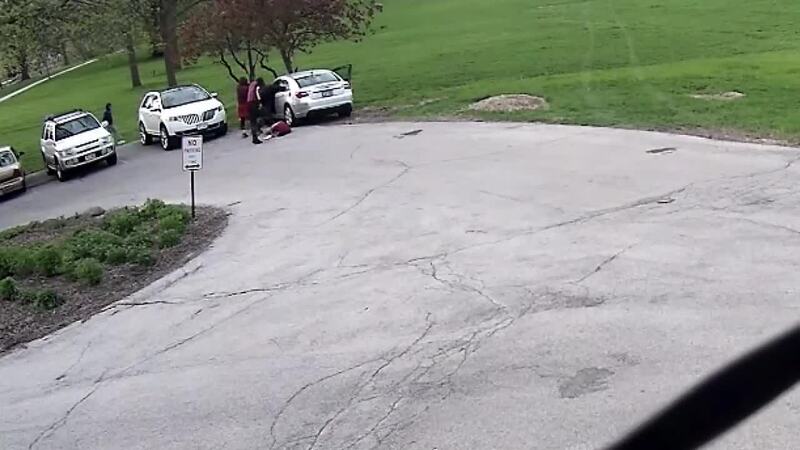 The Milwaukee County Sheriff's Office says four males, ages 15, 16, 17 and 18, are now in custody for beating 43-year-old Lewis Lea while he was in his car at the park on May 17. Lea was at the park for his son’s soccer practice. Surveillance video shows the four teens punching and stomping the victim and then driving off in his car. They nearly ran him over as they escaped. "Left him unconscious and his son's out there playing soccer. Can you imagine that?" said Milwaukee County Sheriff Richard Schmidt. "It's just a horrific situation." A woman later found Lea bleeding and dazed in the neighborhood. He was taken to the hospital for treatment of lacerations to his head and face. The sheriff's office says the 17-year-old driver in the carjacking was taken into custody after he led Milwaukee Police on a pursuit before abandoning the stolen vehicle. His three accomplices were tracked down using evidence and surveillance video. Lea thanked the responding deputy in an interview with TODAY’S TMJ4 for the care he gave following the incident. He also used it as a teaching moment for his sons. They wrote and hand-delivered a letter to the deputy. “My family and I want you to know your efforts made a difference. Thank you," said his son Maurice Lea. Now Sheriff Schmidt says the four teen suspects need to learn a lesson too. "This isn't the slap on the wrist, we'll put them in community service," said Schmidt. "They need to spend some time paying for what they did and this was a horrific crime." The four teens face multiple charges each. The 17-year-old was also charged with felony bail jumping because he still faces charges in a separate burglary case from April.